The perfect destination for your Onsite Wedding Ceremony and Wedding Reception. Celebrate one of life’s grandest events, at Village By The Sea. 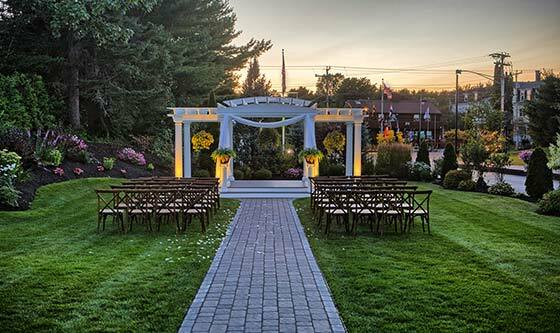 Our lovely Wedding Pergola is a perfect spot to host an onsite ceremony, with your ultimate Maine wedding reception only steps away. Up to 200 will enjoy a distinctive reception, complete with cocktail hour, passed hors d’oeuvres and dinner service, each designed with your personal touches. Come celebrate love, happiness and commitment with the one who has captured your heart. 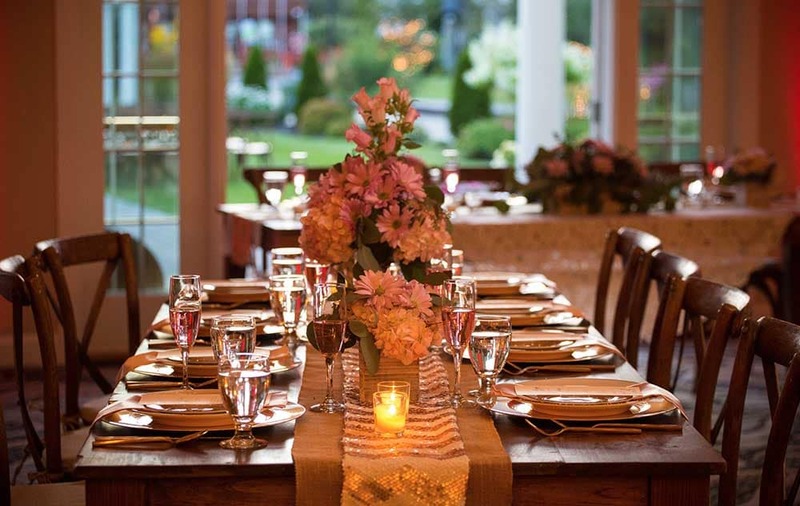 Our experienced events team is on site to ensure that the planning and execution of your Maine wedding is perfect and stress-free. Our attention to detail will ensure your perfect day exceeds all your expectations. 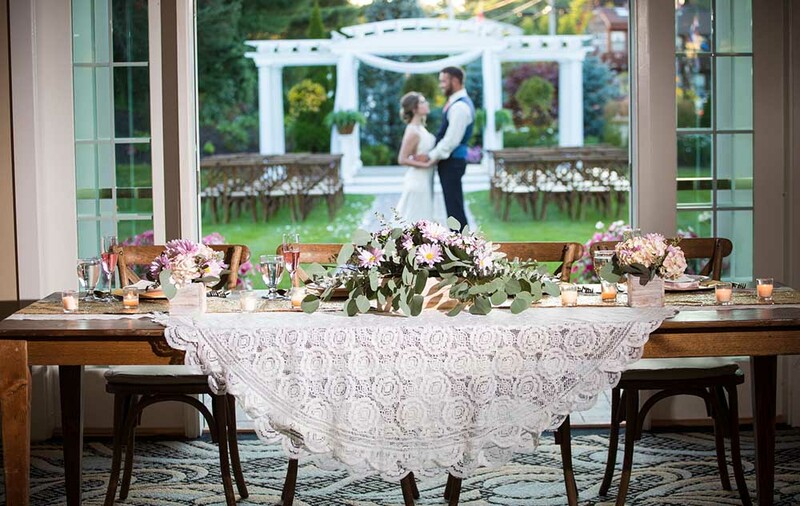 Whether you dream of an outside ceremony under our wedding pergola, a cocktail hour on our spacious patio, beautiful gardens for your wedding photos, or a grand celebration in our elegant Maine ballroom, you’ll find Village by the Sea is the perfect setting to commemorate your wedding day. In addition to your reception, Village by the Sea offers wedding showers and brunches, rehearsal dinners, and farewell breakfasts. For your out-of-town guests, our one and two-bedroom condominium suites are perfect for your guests and we’re happy to offer a group room block at no expense to you. Many of our packages even provide a complimentary overnight stay for the wedding couple on their wedding night! Let us make your wedding day dream, a reality at a price your budget can afford. On the Maine Coast in Wells Maine just 1.5 hours north of Boston between world famous Kennebunkport and Ogunquit. Why Choose Village by the Sea for your wedding? Beautiful Maine setting on 11 Acres near the Ocean in Wells Maine. On-site Ceremony Pergola and Romantic Gardens. Spacious Outdoor Patio for a fabulous Cocktail Hour. Elegant Maine Ballroom for up to 200 Guests. Delectable Menus, with Hors d’oeuvres and Plated or Buffet Entrees. On Site Experienced Team of Wedding Planners – You get The “J” Team. Custom Designed Wedding Cakes that taste as amazing as they look. Deluxe Hotel Suite for Wedding Couple the Night of the Reception – Included in most packages. Group Room Block at no up front cost to you. 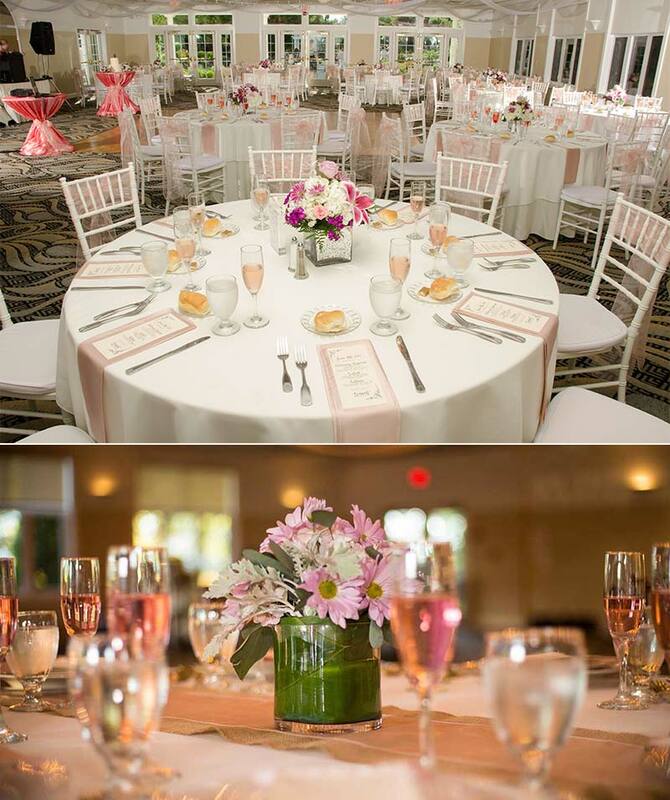 Jayme, Jill and Jennifer are your amazing team of Wedding Coordinators at Village by The Seas … We 3 J’s are here, as your team, on site to assure you the best event! The 3 J’s bring over 20 years of event and menu planning to our sensational venue and we look forward to assisting you in creating your dream day! One of us will be assigned as your special wedding consultant and we will guide you every step of the way to be sure that every detail is taken care of! The beauty of 3 J’s is you know one of our “J” team is here for you always. And on your big day, two of us will be on property with you to assure success. Please call us today to plan the perfect day! We offer three different packages to suit your every need. Our elegant ballroom comfortably accommodates up to 200 guests with a band or DJ, dance floor, and full-service bar. 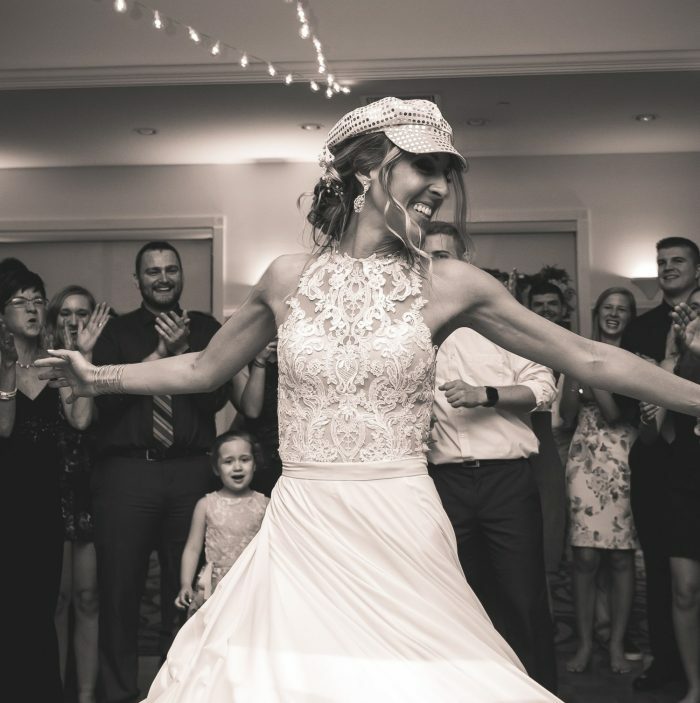 All wedding packages include professional on-site wedding planners, a custom wedding cake, complimentary overnight accommodations for the wedding couple, and a menu that is sure to exceed the expectations of your wedding guests. 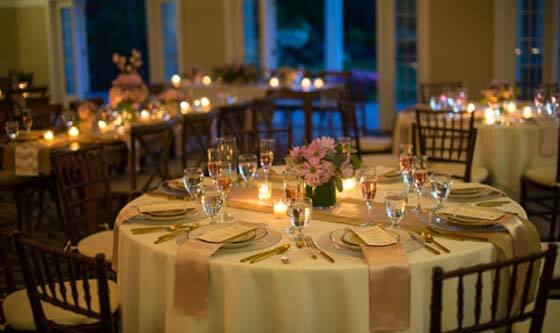 We have designed a wonderful variety of menu selections to make your wedding reception the ultimate success. We will gladly work with you to design a menu that reflects your style and tastes. We offer passed and stationary Hors d’oeuvres, lavish displays, full service buffets, plated entrees, and signature cocktails. Everyone loves Brunch! Celebrate your special day with the increasingly popular Wedding Brunch. Our package includes everything to make your wedding day complete. From a mid-morning ceremony in our beautiful gardens to a Cocktail Hour on the Village by the Sea patio, followed by your reception in the Elegant Ballroom with a mimosa toast, scrumptious buffet, and customized wedding cake. This package is a wonderful way to celebrate your love with family and friends. 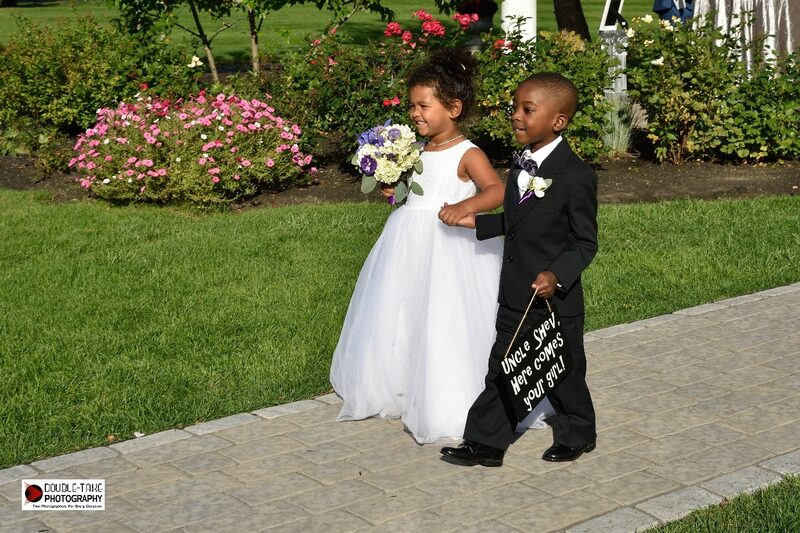 Choose any day except a Saturday for your special day and take off $5 per person on our “For Always” Package, $7 per person on our “Forever” Package, and $10 per person on our “For Eternity” Package. This special includes an additional night’s accommodations for the wedding couple and a $200 discount for an on-site ceremony! Double the discount for weddings with 80 or more guests. Some restrictions apply. Special does not apply to holiday dates. Book your reception of 50 or more guests in November through March and take $5 per person off the “For Always” Package, $7 per person off the “Forever” Package, and $10 per person off the “For Eternity” Package. This special includes an additional night’s accommodations for the wedding couple and a $200 discount for an on-site ceremony! All Specials apply to new reservations only. They are subject to availability and may be changed or discontinued at any time without notice. Pre-Register to Win Exciting Door Prizes! Admission is free for all, but pre-registration is required for some of the door prizes. Pre-register here or Email us at events@vbts.com. We'd love to meet you and show you everything we have to offer!